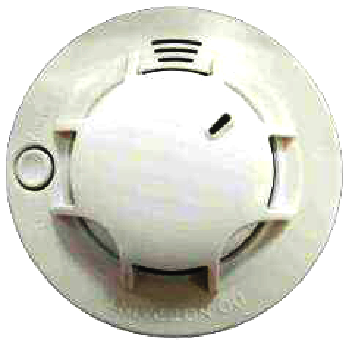 Fire Projects supply Battery powered stand alone smoke detector, adapting optical chamber, to detect smoke produced by fire, gives high volume sound notification in case of alarm of GST with model number S9102R and S9102N It is suitable for small projects like home application, small shop, pub, and etc. The detector is installed to ceiling or solid support frame. Select Fire Projects to design solution of fire alarm system using GST C-9104 conventional ultra violet (UV) flame detector. We support our clients from Designing up to Commissioning up to AMC. We also provide AMC–Annual Maintenance Contracts for all types of Fire & security Systems. Place your order to Fire Projects or Make call on contact number +91 9409535460. For standalone application, the S-9102R is suitable, and will provide an extra alarm relay output. The S-9102N provides network function, suitable for group usage of the detector. All networked detectors will sound together when anyone of them alarms.